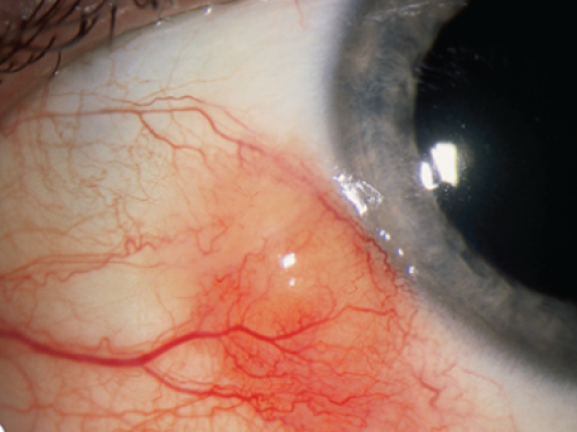 Dry eye is one of the most common problems we're likely to find in practice today. People of all ages, sexes and ethnic types can be affected. It is largely driven by environmental and modern life factors, such as looking at computers in air conditioned offices, driving in air conditioned cars, watching TV or using a smart phone... Every one of those tasks increase the potential for dry eye, because of decreased blinking in any concentrated task. Brian is an experienced independent practitioner in his unique Victorian house-practice in Northampton UK. He is a council member and Fellow of the BCLA and is extremely proactive in fitting all types of contact lenses to any age and prescription. He has a large continuous wear and presbyopic patient base and is keen on imaging and video capture for enhanced patient education. He has been awarded the accolade ''One of The Best Clinical Photographers in the World Today'' by Prof Nathan Efron and regularly supplies images for lectures, magazine articles and publications worldwide. His work in contact lenses has included collaborative clinical trials with Eurolens Research, Visioncare Research Ltd and OTG Research & Consultancy. He lectures internationally on business, dry eye and contact lens topics, all based on real life experience in the consulting room. More recently he has been trying to spread the concept of charging proper fees and business development following the implementation of a Care Plan System in his own practice 4 years ago. Besides the different treatment options, what is perhaps more important is the use of appropriate examination tools for confident diagnosis. A variety of simple and more technologically complex methods of investigation will be discussed that uses observation and photography in slit lamps, background illumination and filter systems. The latest non-contact methods in examining dry eye will be discussed and benefits of magnification imaging will be highlighted. Delegates will benefit from tips, pearls and techniques to aid new and experienced users in capturing the best diagnostic images.